Vladimir Lenin, Leon Trotsky, Francesco Gramsci and Saul Alinsky were all malevolent masterminds of manipulating others into becoming willing puppets of the State. Lenin’s “What Is to Be Done? ;” Trotsky’s “In Defense of Marxism,” Gramsci’s “Prison Notebooks” and Alinsky’s “Rules for Radicals” were all written to push strategy and propaganda onto the masses. All have succeeded in spreading malignant evil. But aside from Lenin, none lived to become absolute masters over every form of media and, arguably, none were as effective as Joseph Goebbels. The Reich Minister for Propaganda and Popular Enlightenment, Goebbels, was the architect of Hitler’s rise to power in the Nazi Party and thereafter, his ascension to de facto dictator over the Third Reich. One of the most brutal empires in history. According to writer H.R. 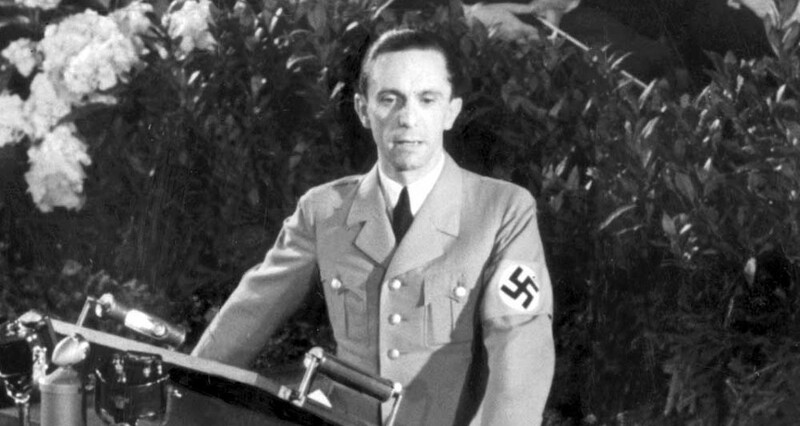 Trevor-Roper, “Goebbels was an impresario of genius, the first man to realize the full potentialities of mass media for political purposes in a dynamic totalitarian state.” He perceived early on how the masses could be easily led by skillful use of modern media and he grasped the reins of that media to propel Hitler into power and Nazi Germany into war. Born in 1897, Joseph Goebbels was rejected by the German Army in WWI due to a clubbed foot so instead, he attended Heidelberg University where he was awarded a doctorate of philosophy in 1920. His disability, slight physical stature and his resentment of the harsh terms of the Treaty of Versailles turned Goebbels into a very embittered man in the early 1920’s. Seeing an outlet for his anger, Goebbels joined the Nazi Party in 1924. Goebbels was, at first, critical of another young and angry German by the name of Adolph Hitler. But in one of those cruel ironies of life, Hitler later became a friend to Goebbels. Goebbels first task was to build up Nazi support in the city of Berlin. He approached this like he approached everything in his life, by attacking it. The Nazi’s main rivals were the communists. In order to defeat them, Goebbels would often storm into their meetings and take over the microphone as his “Sturmabteilung” (SA) paramilitaries would beat dissenters into submission. Then, as would become his lifetime practice, he would accuse the communists of starting the fight. Seeing Goebbels’ deeply rooted scorn for humanity, his ability to sow confusion and hatred, his thirst for power and his command of mass persuasion, Hitler unleashed Goebbels during the election campaigns of 1932. Goebbels was hugely responsible for Hitler’s election as Chancellor. Following the election, the German Parliament building, the Reichstag, was deliberately torched allowing Hitler to become the dictator of Germany. Goebbels was rewarded by being made Reich Minister for Public Enlightenment and Propaganda, a position he held until 1945. He now had complete control over all radio, cinema, newspapers and other arts. His works are still spoken of today as masterpieces of propaganda; he created the Cult of “Der Fuehrer” to turn Hitler into a messianic figure as well as using all the media in Nazi controlled areas to denounce his enemies. Films like Franz Hippler’s “Der Ewige Jude” depicting Jews as rats became the norm as the “Final Solution” took hold. During the first few years of the war, it was easy for Goebbels to persuade the Germans of the inevitable victory of Hitler and the Third Reich, but that all changed with the shattering defeat of the German 6th Army under General Friedrich Paulus at Stalingrad in 1943. His statement following the defeat showed the new direction Goebbels would take the Germans: “An entire Army had sacrificed itself ‘for all of us,’ and indeed, for western civilization. Goethe and Beethoven, Augustus and Pericles were being defended in the wilds of the East.” In a flash, the myth of German invincibility was smashed and the focus became the subhuman brutality and stupidity of the Soviet soldier as opposed to willing sacrifice of the German hero. Along the way, power hungry zealots have used Goebbels’ writings to support their own nefarious designs. Case in point: After Trump’s election victory, Nazi collaborator George Soros joined other global elites along with their mainstream media (MSM) lapdogs to do just that. In accordance with Goebbels playbook they blamed “Russian” hacking for Hillary Clinton’s loss and Donald Trump’s victory. Attacks included organized so-called “grass root” riots and a campaign to intimidate members) of the Electoral College into changing their votes from Trump to Clinton. The “Russian hacking” meme was created as a cover for the Wikileaks release of thousands of damning emails which exposed collusion between the Democratic National Committee, the MSM and the Hillary Campaign to steal the Democratic Party’s nomination from Bernie Sanders. Their release showcased Hillary’s blatantly illegal disregard for US Top Secret documents and “pay to play” activities in which Hillary actively engaged while she was Secretary of State. A majority of democrats have proven themselves to be as morally corrupt as the DNC leadership by focusing concern on a scapegoat for Hillary’s loss instead of the scandals her emails exposed. 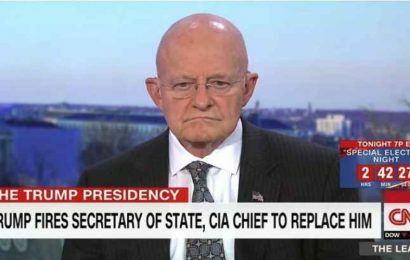 On January 10th, the media exploded with the scoop of a lifetime when CNN released news on the existence of a report linking President-elect Donald Trump to the “Russian” hacking scandal. Compiled by retired British intelligence officer Christopher Steele, the report claimed that Russia had gathered compromising data about the President-elect. Originally, Mr. Steele was hired by anti-Trump Republicans to dig up dirt on Trump, however, the funding continued from an anonymous Democrat donor. Later that evening, the ultra-liberal website “Buzz-Feed” released the entire report. Supposedly originating from Russian intelligence members, it consisted of a series of memos alleging that Russian agents have been blackmailing Trump over footage of himself with Russian prostitutes. In truth, the dossier has more holes in it than the Obama administration’s explanation of what happened at Benghazi. For example, months before CNN and Buzz-Feed published the report; it had been passed over as fake news. NBC sources deny CNN reports that Trump had been given a two-page briefing about the dossier. Moreover, the poorly written dossier cannot be verified. Contrary to memo claims, Michael Cohen, has never visited Prague, let alone met with Russian officials. Even CNN says it was a different Michael Cohen in Prague.